Executive board positions are open to any AWA regular (as opposed to associate) member and are elected by the general membership. They are responsible for ensuring that the AWA complies with its constitution and that all Singapore Government regulations are fulfilled. To find out more about applying for a board position, please click here or click here to indicate your interest in applying for a position. The President’s role is to direct the general affairs of the AWA, setting goals and a specific tone for her term of office. 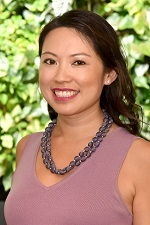 She represents the AWA to the wider Singaporean and International community and ensures the AWA board complies with all appropriate rules and regulations. Mel joined as an AWA member in 2008. She has previously volunteered as our Sports Chair and chaired the AWA Fashion Show for several years and was Vice-President last year. This will be her first term as AWA President. The Vice-President (VP) is our board member in charge of Membership. She has overall responsibility for our membership numbers and income, the renewal process, the General Meetings, Meet & Greet Coffees, and Volunteer Appreciation. She works closely with the Marketing and Newcomer committees. Machelle joined as an AWA member in 2015. She has volunteered in a large number of AWA activities since she joined, including Community Service and as the chair of the Holiday Lunch and Fashion Show. This will be her first term as Vice-President. The Recording Secretary is responsible for accurate record keeping within the AWA, including board meeting minutes, and all official correspondence, including statutory filings, such as licenses and insurance. She has overall responsibility for the Policy and Nominating committees, supporting them and ensuring they follow all appropriate rules and regulations. Charisse joined AWA in 2017. She has been an active member during her time here and we welcome her to the board for the first time this year. The Treasurer is the financial conscience of the AWA and provides factual, unbiased financial information to facilitate informed decision-making by the board. 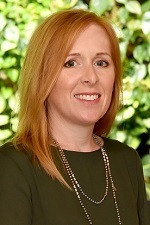 She is responsible for all financial income and expenses, and works closely with her assistant treasurers and the General Manager to manage this. Typhaine joined as an AWA member in 2011. She has been an integral part of many AWA groups since she joined. This will be her second term as AWA Treasurer. Anna joined AWA in 2016. Since joining she has volunteered as the Assistant Treasurer and on the Home Tour & Fashion Show committees. We welcome her to the board for the first time this year. The Communications Director is responsible for AWA communications, which includes the Bamboo Telegraph magazine, website, broadcast email, and social media. She works closely with and supports these committees, ensuring they follow all appropriate rules and regulations. 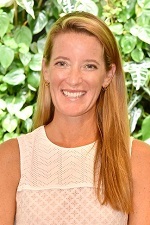 Stacy joined AWA in 2017. She has been an active member during her time here and we welcome her to the board for the first time this year. The External Affairs Director is our external relations board member. She has overall responsibility for our interaction with the wider community through our outreach activities and our relationships with sponsors, vendors, and donors. She works closely with and supports the Community Service Chair and Corporate Relationship Manager. She also supports the President in making connections with the wider community in Singapore. Allison joined the AWA in 2016. She previously served as the Community Service Chair on the AWA board and is active at many AWA events and activities, including Foreign Tours and Mahjong. These positions are appointed annually by board vote and are open to any AWA regular (as opposed to associate) member. The Social Chair represents the social committees on the AWA board: Kids, Food & Drink, Games, Fashion & Beauty, and any other ad hoc social groups. Venta joined the AWA in 2013. 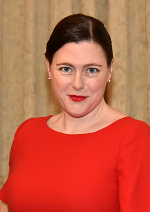 She has chaired the Bar Night committee for over a year, and this will be her second term as Social Chair. The Special Interest Chair represents the special interest committees on the AWA board: Arts & Culture, Choir, Faith & Spirituality, Handicrafts, Literary Programs, Local Tours, and any other ad hoc special interest groups. 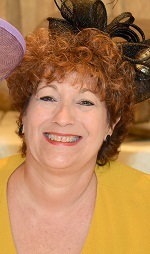 Linda joined AWA in 2014. She has served on the board as Communication Director for 2 years and will now take on the role of Special Interest Chair. The Sports Chair represents the sports committees on the AWA board: Bowling, Golf, Sailing, Tennis, Running, Walking, Health & Fitness and any other ad hoc sports groups. Jen joined the AWA in 2016. This will be her second term as Sports Chair with the AWA Board. The Major Events Chair represents the major event committees on the AWA board: Home Tour, Thanksgiving Picnic, Holiday Luncheon, Holiday Lights Bus Tour, Spring Event, Fashion Show, and any other ad hoc major events. Emily joined AWA in 2016, and served as the AWA Secretary in 2018. This will be her first year as the Major Event Chair. The Corporate Relations Manager maintains an overview of the AWA's business partnerships and coordinates our annual contracts and agreements. This position is current vacant. The Community Service Manager provides AWA members with information about, and an opportunity to volunteer with, non-profit organizations in Singapore. She provides publicity throughout the year for these featured organizations, communicating their volunteer needs to AWA members. Christa joined AWA in 2016, and served as the AWA Outreach Manager in 2018. This will be her first year as the Community Service Manager. Ex-officio board members are non-voting board members who provide unbiased advice and information to voting board members. The Historian provides the board with background and information regarding AWA board decisions and AWA activities from previous years. Ideally, this position is offered to a member of long standing who has served on the AWA board in a variety of roles over a period of several years. Susan joined AWA in 2003 and has been an active an involved member of the AWA during her time in Singapore. Most recently she has chaired the Scrapbooking group, and we are lucky to also have her knowledge and expertise as our board Historian. The general manager is the only AWA paid staff position. She is responsible for maintaining, supervising, and coordinating AWA business, and for advising and supporting board members in carrying out their duties. Sarah joined the AWA in 2005, became the office manager in 2006, and then general manager in 2008. After a three-year interval in Japan, Sarah returned to the AWA in 2012 to take up the position of general manager again.